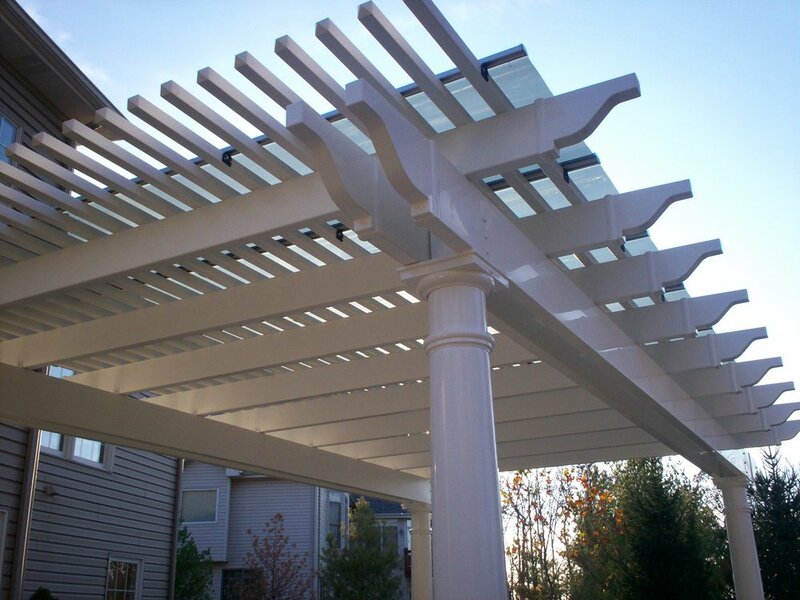 The word pergola is derived from the Latin word “pergula” which refers to a “projecting eave”, commonly found as an extended roof or arbor. The earliest known surviving garden plan, dating back to about 1400 BC belonged to an Egyptian high court official of Thebes; details a pergola over the entry way into the garden. What inspired the creation of pergolas is debatable, perhaps it was purely for their aesthetic beauty, or maybe motivated by the weather. 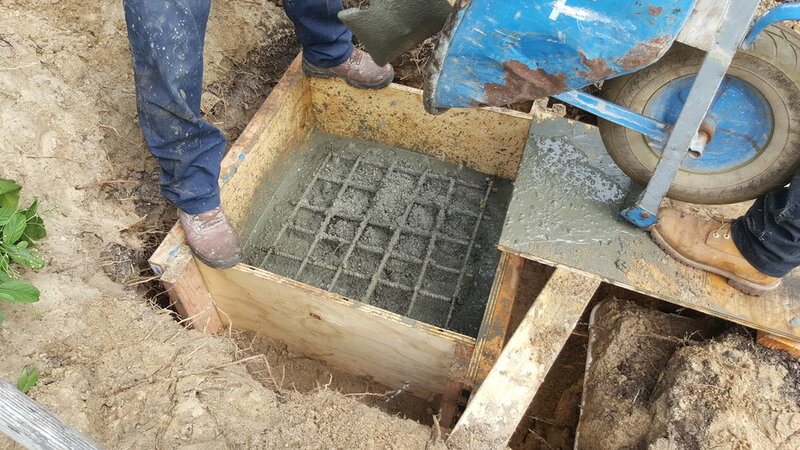 The truth is that they are able to provide both functions wonderfully, and thus have become a timeless entity. The Great Italian Renaissance in the 17th century brought new life to the pergola. Perhaps more for their beauty than the functionality, this artistic revival period brought with it pergolas that featured smooth stone pillars that were large and dramatic. The pergolas of the 19th and early 20th century are most epitomized by the great garden designers like Sir Edwin Lutyens, and Gertrude Jekyll. Modern pergolas are generally not crafted from the same stone and brick that previous generations seemed to favor. Today’s technology has not been lost on pergolas. Materials like aluminum, vinyl and fiberglass, make pergolas that will last a lifetime, and require little to no maintenance. Conversely, stylish pergolas, or simplistically functional 2 Beam or 4 Beam pergolas made from Red Cedar, or Treated Pine have become the industry standard. However, wood does not last like aluminum will! Who in Florida doesn't want a shaded area in their backyard to enjoy their grill or pool or just playing with the kids?? Let me tell you it's everyone! But everyone has a different budget. The problem is, in Florida we have the strictest building codes so you can't get a permit for the $500 pergola kit from your local hardware superstore. Our motorized Louvered Roof System is our Cadillac of roofs, and convertibles cost more than hardtops! 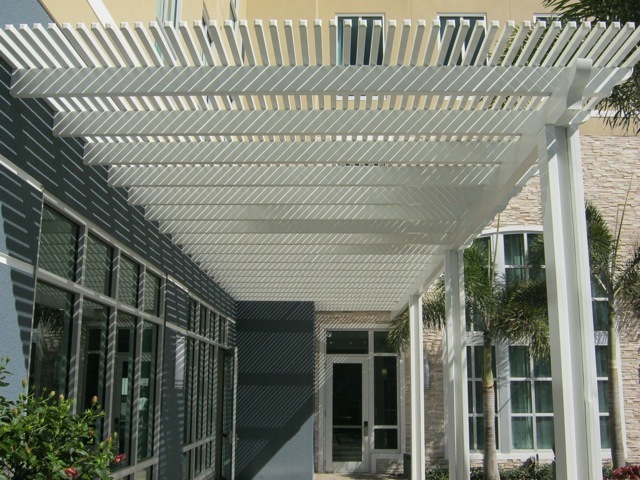 Our standard Pergola is what we call the "Decorative model". This design has posts, beams, and rafters on top, spaced a foot or more apart. Our "Shaded Model" has added slats attached to the rafter beams on the top. This provides much more shade than the standard decorative Pergola.